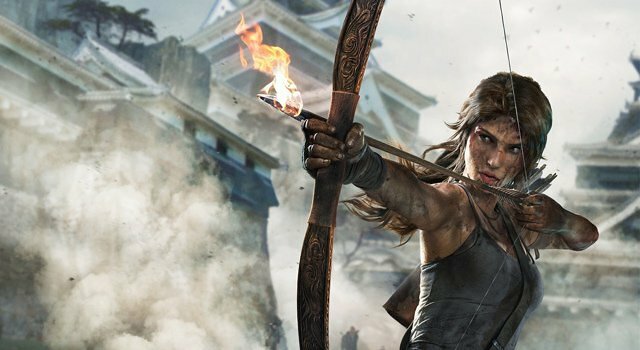 Tomb Raider Definitive Edition is a definite addition for next-gen console game libraries thanks to a strong narrative, poignant character development, and enhanced connections with Lara Croft’s gear, motivations, and background. A promising start that showcases the original 2013 Tomb Raider game from Square Enix and Crystal Dynamics that hopefully brings many more high quality installments in the near future. Tomb Raider Definitive Edition culminates a great “reboot” to a popular franchise that was definitely worth the wait. Familiar game mechanics and elements were enhanced while Lara Croft got a taut, adventurous background showcase that satisfied franchise veterans while adding several newcomers. Tomb Raider Definitive Edition now joins 2013’s Tomb Raider, The Final Hours Edition and Survival/Collector’s Edition of a successful reboot that elevates game series to a higher level with stronger emotional elements, expanded gameplay opportunities, and an extensive multiplayer mode, which has promise for future improvements. 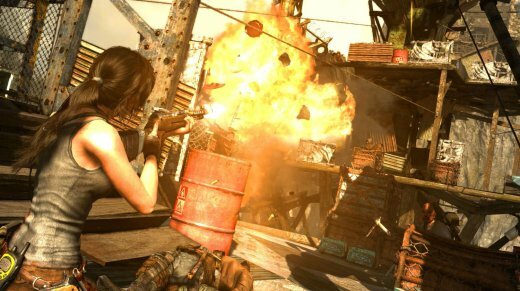 Lara Croft returns in her ninth video game…the first in four years. The title lives up to itself as players get the original 2013 game with all of the downloadable content (DLC). Tomb Raider Definitive Edition is everything you want in a game: emotion, a strong story, challenging gameplay, and engaging graphics. The extras include all the DLC, the Tomb of the Lost Adventurer map, six Lara Croft outfits, a Brady games digital mini art book, videos from developer Crystal Dynamics, and the digital Dark Horse comic The Beginning. Players can also hear sound from PS4 controller and perform voice commands (camera required) on this memorable origin adventure as Lara Croft must survive when her archeologist expedition does not go as planned as she and her colleagues encounter extreme natural elements, ferocious animals and island savages instead. Players still get three save slots and choose the difficulty (easy, normal or hard). The quick time events help drive some direct interaction into the narrative and require precise timing and correct button pressing from the player (range depends on the difficulty level). PS Move capabilities would have been nice for some boss fights, but the basic control scheme works well enough thanks to some helpful dodging action that is easy to perform. Lara moves well as developers retain her core characteristics (e.g. ability to squeeze through tight spots, intuition/instinct, problem solving, etc.) though the puzzle solving in the environments diminishes compared to the basic survival scenarios where strategy, scavenging, scrounging, and stealth can win the day. Lara’s other activities include hunting, puzzles, traversing, climbing, exploring, zip lining, fighting, evading, archery, melee pushing, shooting, and, of course, tomb raiding. The graphics amaze with compelling lighting, shadows, and dense environments that match the gameplay perfectly because they create an open world full of choice without making the player feel forced through specific avenues. Endless side missions give player plenty to do while offering surprise encounters and twists into the mix. 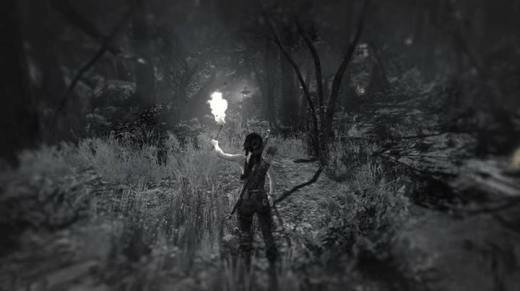 Developers took great attention to the detail in this edition especially in special instinct mode where Lara can scan the environments for helpful items like primitive weapons. The newly famous bow and arrow take precedence over her dual holstered pistols here. The modern weapons undercovered later in the story give Lara helpful advantages as these numerous and new enemies appear. The inventory is easily manageable and drives the story’s central narrative. Every action yields skill points where Lara can upgrade every weapon and apply her points to her varied abilities. Developers also provide environmental advantages like gas barrels to help Lara thin out enemy swarms. The close quarter combat situations require finesse though Lara can pack powerful offenses at the same time, so players should not feel they have to evade until they can simply chip away at the enemy when they are not looking or there back is turned. Lara can bring the hammer down on evil baddies, especially with the primitive weapons as well, which definitely warrants the M (mature) rating. The only notable combat snafu is environmental objects occasionally block the view when using the zoom option when the objects (e.g. trees) are located well behind Lara. The multiplayer mode requires a decent internet connection and provides some fun thrills among several maps. The tension element lowers here while players can really learn the environments and hone their stealth and direct attack skills. 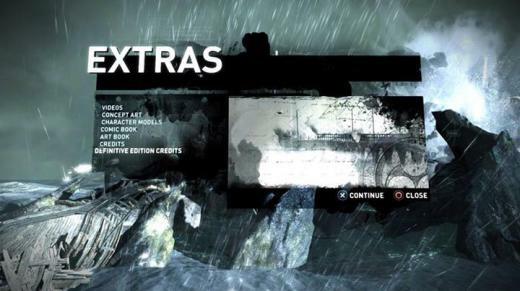 Different characters from both sides of the main story conflict can be found here, but players have to earn their way to unlock the most desired playable characters like Lara. 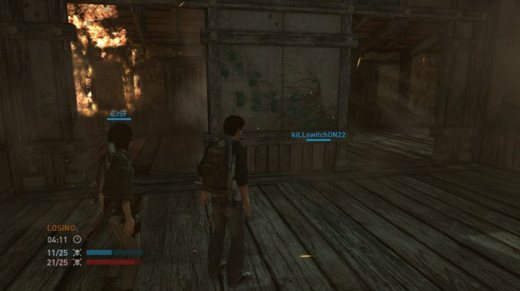 The multiplayer basics are there, but the whole experience does not gel yet largely because it’s the first time in the game series. Players can choose a casual or regular difficulty with up to 8 players total in entertaining game modes that include rescue, team deathmatch, cry for help, and free for all (minimum number required to begin). The rescue mode provides a unique option as Lara races against scavengers to nab medical supplies. More modes would be great in the next installment, which will be the tenth in this popular game series. Tomb Raider Definitive Edition is a great culmination to the long returning journey of Lara Croft to modern audiences. The hype was so high even provocative preview video caused a stir in summer 2012, but in the end, publisher Square Enix and developer Crystal Dynamics definitely delivered. Hopefully quality heroine showcases like this one can expand in the video game media realm. This entry was posted in Video Game Reviews and tagged Lara Croft, Michael Siebenaler, Mike Siebenaler, Tall Writer, Tomb Raider, video games. Bookmark the permalink.